Technology leaders are disenchanted with the current state of their IT infrastructure. According to a study released Tuesday by global technology provider Insight Enterprises, tech leaders give their companies' current IT infrastructure a "B minus" grade. For its first Insight Enterprises Intelligent Technology index, Insight Enterprises used Market Intel Group to conduct an online survey of a random sample of 403 IT professionals with decision-making responsibilities between Nov. 30, 2015 and Dec. 8, 2015. The study found that 55 percent of respondents felt the current technology in place at their business was a hindrance to incorporating or adopting new technologies, even as 65 percent of respondents were worried about disruption from technology innovation. While 65 percent of tech leaders overall were worried about the prospect of disruption, tech-decision makers at larger companies are especially feeling the pressure: The study found that 74 percent of tech influencers at large companies and 75 percent of tech influencers at medium-sized companies were concerned about disruption. The respondents pointed to direct competitors (58 percent) and rivals from outside their industry (47 percent) as the likely source of disruption. The good news is that the vast majority of decision-makers expect to maintain or increase their 2016 IT budgets. 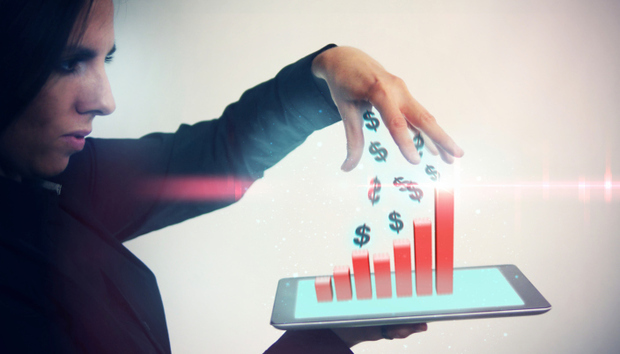 Forty-eight percent are planning IT budget growth at an average increase of 22 percent over last year, according to the study, while just six percent of companies are planning to spend less on IT than last year. Medium-sized companies are growing their tech spending most aggressively, with 60 percent planning to increase their budget by an average of 17 percent over 2015. The study found 42 percent of small companies are planning to increase their budget by an average of 27 percent over 2015, while 44 percent of large companies are planning to increase their budget by 18 percent over 2015. Maintenance of existing equipment and infrastructure will take the lion's share of the 2016 IT budget, at 37 percent, but adoption and development of new technologies and innovation won't be far behind at 33 percent. "Disruption is on the horizon and to deal with it companies are turning to intelligent technology as a smarter way to run their businesses," Steve Dodenhoff, president, U.S., Insight Enterprises, said in a statement today. "Today's technology infrastructure and application deployment environments offer flexibility, scalability and consumption options that simply were not around a few years ago. It's an exciting time to harness this new model toward speed, agility and competitive positioning. This is why tech decision-makers are moving more aggressively to invest in the right combination of intelligent technology solutions." Adoption of new cloud technologies and solutions will continue at a rapid clip in 2016. The study found 89 percent of technology influencers cited cloud computing as the innovation that has had the most significant impact on technology today and 84 percent plan on investing in cloud services in 2016. Software as a Service (SaaS) is likely to lead the way with 54 percent planning to invest, followed by Security as a Service, with 49 percent planning to invest. As a whole, decision-makers at large and medium-sized companies say they are moving fast in the race to keep up with tech advancements, while influencers at small businesses say they are moving the slowest. "Technological innovation continues to accelerate at unprecedented rates," Mike Guggemos, CIO of Insight Enterprises, said in a statement Tuesday. "In recent years, new devices, applications and software solutions have hit the market with incredible frequency. The old adage of 'keeping up with the Joneses' has never been more relevant than when applied to businesses trying to compete and harness the power of emerging technologies. Large and medium-sized organizations have deeper pockets to help them in the race but often face organizational hurdles, while smaller and more nimble businesses often lack financials to experiment prior to making investments."